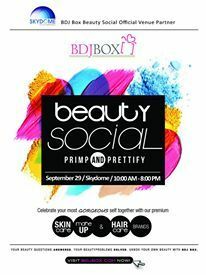 This is the 2nd BDJ Box Beauty Social for this year! Primp and Prettify was held at the SM Skydome! The event was bigger and better compared to the 1st BDJ Box Beauty Social held last March. My eyelashes are the thinnest and shortest that one could ever have. I need to curl and them with mascara just for them to show up. Effective mascaras such as Maybelline Colossal tend to be expensive and I don't think I could deal with eyelash extensions due to commitment and maintenance issues. Tada! Here's my first falsies haul! I don't understand Chinese but these are obviously handmade Chinese lashes. Available in different designs varying in thickness and length. Comfort wise, they are so light due to its design and could be worn with ease thanks to its thin lash band. Believe it or not, I like these more compared to my Etude House Secret Long. And those Etude House lashes are much more expensive than a box of these! Here's what they look like when worn. From L-R: Miss Beauty False Eyelashes in 127 and 030. These Miss Beauty falsies I got P10 per pair. Gave them to my cousin because I thought they suit her better. 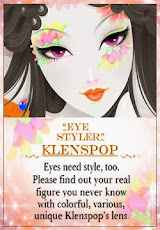 Eyelash Extensions or false lashes? Which do you prefer more? I'd love to hear from you guys! I'd rather GoBetter with Globe's GoUNLI30 because I could get to share the latest happenings with my friends and family by using the latest messaging apps like Kakao, FB Chat, Viber, WeChat, Line & GMessenger. And for my relatives who aren't too tech-savy, GoUNLI30 has unli allnetwork texts and unli calls to Globe AND TM. That's a great deal right there! Whatever your lifestyle is, there's surely a perfect plan for you! How about you? Would you rather GoBigger or GoBetter? 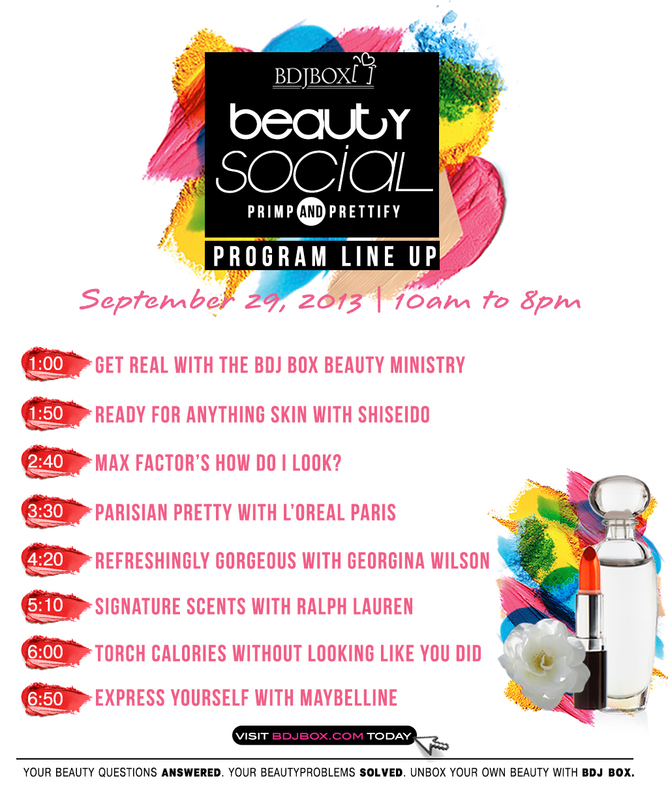 I’m counting down the days to the BDJ Box Beauty Social at Skydome SM City North EDSA on September 29, 2013. Happy girls are always the prettiest! See you at the BDJ Box Beauty Social! It's official! I'm converted Snoe addict! From L-R: Snoe Hair Heroes Intense UV & Thermal Barrier Shield and Snoe Body Rituals Recipes Body Spritz in Cotton Candy. What's my take on these products? This is the perfect fix for girls with unruly hair. 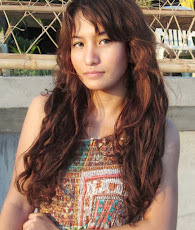 We permed girls usually have to deal frizzy hair. This one works perfectly and it also could detangle our curls as well. The product is made with Argan Oil, Moringa Extract and Wheat Extract. The packaging is great because you could easily control how much product you need to pump out. I also recommend using this along with the intense PM version. I wish I could show you guys how well it works. This in particular is one of their newly released fragrances. How do you spell Y-U-M-M-Y? This one I would totally repurchase because my bottle is already finished. This one smells sweet like Sugar and Vanilla. You might think, this might smell overwhelming or too heavy on me. No, trust me. It's not as strong as Marshmallow Pie. And unlike most Body Spritz in the market, this one is more of an EDT. It's also moisturizing too. I love it! Let's spritz away! Have you tried any Snoe products yet? Physiogel: An Extraordinary Way to Moisturize! At first, the brand Physiogel was very foreign to me. However, I got to know more about Physiogel thanks to Kris Bansuelo's BDJ Box Beauty Social talk. After the event, I finally got my hands on my very own Physiogel Intensive Cream. I must say, it really works well on dry areas, especially on my hands and heels. Ideal for the very cold weather now since the ber months are fast approaching as we speak. So what makes Physiogel an extraordinary way to moisturize? Physiogel moisturizes using a high level of natural lipids in a unique Derma Membrane Structure (DMS) base for long lasting hydration of moderately dry to very dry, irritated and sensitive skin. The DMS base, used uniquely in Physiogel products, is made up of natural lipids similar to the skin's physiological lipids. A little goes a long way. I tried a pea size on my heels at night and they were still moisturized in the morning. Awesome. I was curious as to the other products they offer so I ended up joining their contest at Facebook. Guess who won a 1,000 php worth of Physiogel stuff? Yey! Here's my entry. I know. Hahahaha. It's embarassing. I only had 7 votes. Not really into the fb liking contests nowadays. So I went to GlaxoSmithKline at Magallanes to claim my prize. Not bad for a consolation prize, right? From L-R: Physiogel Cleanser, Physiogel Lotion, Physiogel Intensive Cream, Physiogel Cream and a Travel-sized Physiogel Cleanser. I have yet to try how well the Physiogel Cleanser fares against other cleansers. How about you guys? What's your take on Physiogel? Advance Movie Screening: "Bakit Di Ka Crush Ng Crush Mo?" Last August 3, my close friends and I were lucky to get exclusive invites from Maxine to the advance movie screening of "Bakit Di Ka Crush Ng Crush Mo" at Shangri-La. I was thrilled because I was planning to see that movie when I saw the trailers. I already have Ramon Bautista's book ages ago so I was quite interested on how they plan to make it to mainstream cinema. Believe it or not, I liked the original book cover. The ever so handsome Xian Lim was kind enough to show up for the movie. He was sitting behind us the whole time along with a companion. I couldn't help but to glance behind because he was so adorable. We were the only ones lucky enough to take a picture with him. Sigh. I wish he stayed longer though. This was also the first time I got interviewed about a film. They've asked me if I enjoyed the film and what are my thoughts on Star Cinema's movies and such. Personally, I thought the movie was interesting since a lot of cliche movies are made of remakes of old movies. I think this is a breath of fresh air. Though I wish they took more risks with this film. If you're looking for a feel-good rom-com movie, this is it. My friend on the other hand didn't like it so much because she thought the movie was "pilit" and focused on the loveteam and less on the book. Oh well, baby steps. After the movie, we decided to catch up with each other at Coffee Bean and Tea Leaf. These guys are my really close High school friends and I haven't been hanging out with them since forever!